It happened: the first 9/11, it happened on September 11, 1973, in Chile. We did it. Was that interfering or hacking a party? This record is all over the world, constantly overthrowing governments, invading, forcing people to follow what we call democracy, as in the cases I mentioned. As I say, if every charge is accurate, it's a joke, and I'm sure half the world is collapsing in laughter about this, because people outside the United States know it. 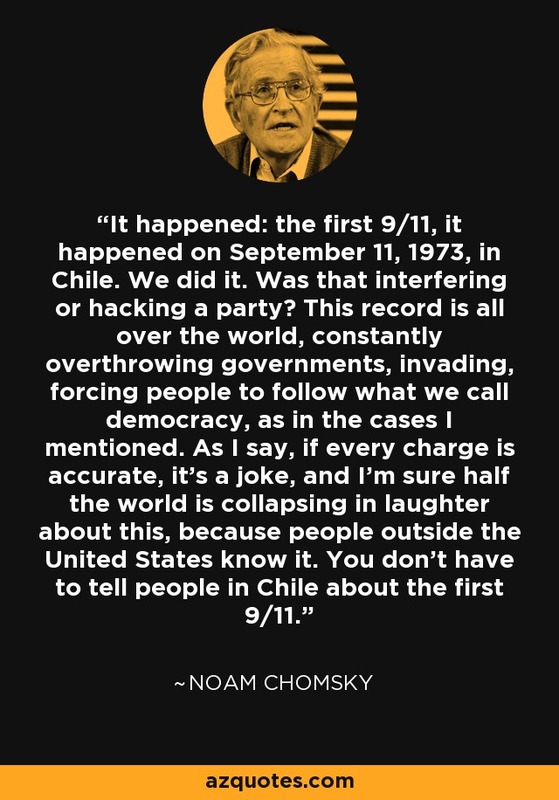 You don't have to tell people in Chile about the first 9/11.